CKA staff share unique roles in that we are administrators as well as Arts Educators. In these roles, we are responsible for the logistics and planning of programming and events, but can also further our own artistic and educational practices through the professional learning opportunities that we present to the public. Kinderfest gave me the chance to do just that. 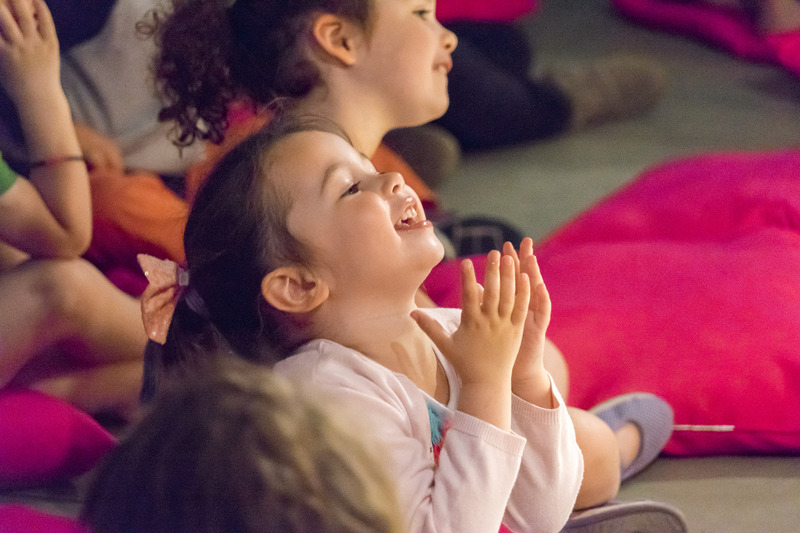 Kinderfest was founded in 2016, in partnership with the Wee Festival, to bring internationally celebrated artists from Canada and around the world to Hamilton, supporting the development of children ages 0-6 through performance. Kinderfest also provides accessible workshops and professional learning opportunities for educators in the arts, early years education and recreation sectors. Educators and facilitators are given the opportunity to observe the ways in which children engage with arts during live theatrical performances, and later reflect on their observations with their peers and specialists. 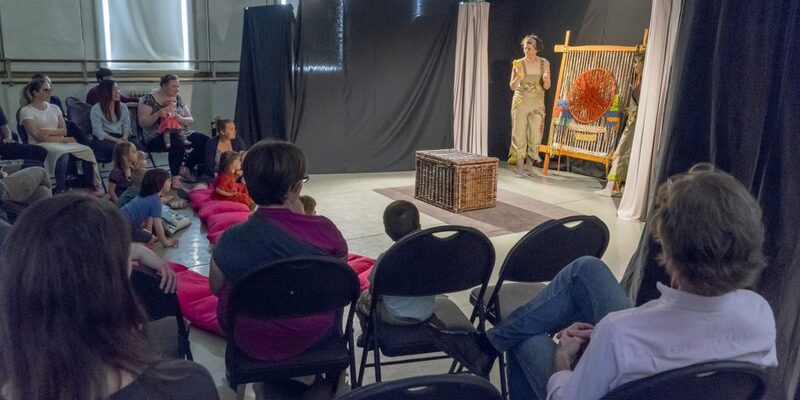 After watching one of this year’s performances by Montreal theatre company, Puzzle Theatre, I attended a panel discussion around the topic: Recognizing Language: Exploring the Importance of Arts in Early Years. Panelists included Evette Sauriol and Andrea Topic, Early Literacy and Physical Literacy Specialists from Affiliated Services for Children and Youth, Kate Einarson, Ph.D. Postdoctoral Fellow, University of Toronto, Melissa Stenhouse, an Operations Manager at Today’s Family, and Vitek Wincza, Founder and Artistic and Executive Director of the Hamilton Conservatory for the Arts and Culture for Kids in the Arts. 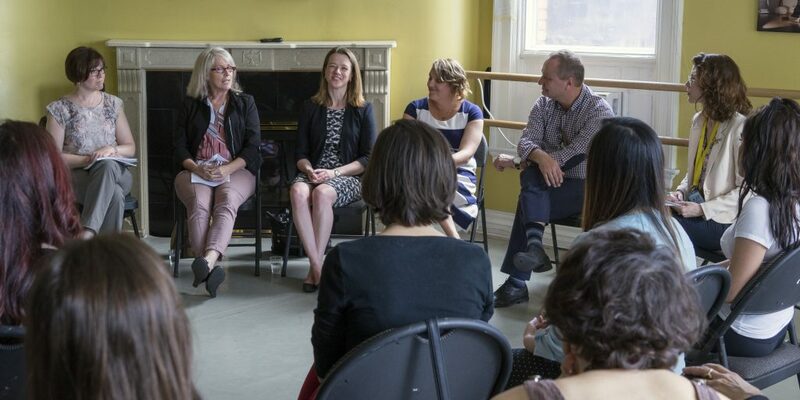 The panelists discussed ways in which the arts can help nurture our understanding of how children develop communication skills, both verbally and physically. The greatest take-away from the discussion and event as a whole for myself, as both a teacher and performer in the arts, is that the shift happening in early years education from formal learning to play-based learning is one which resembles already existing arts practices and is going to require educators and parents to step out of their comfort zones and essentially let them play! When we attend theatrical performances as adults, presumed etiquette dictates that we sit quietly in our seats for the duration of the show, showing approval with a smile, a nod, and perhaps a round of applause at the end. We sometimes unknowingly pass this expectation of behaviour on to our children – shushing them if they make noise during the show or holding them back from physically engaging with the performance. We hinder their natural response to the performance or art they are presented with. But are we diminishing their learning by dictating that they engage with the arts in such a box-like fashion? 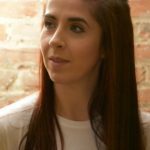 I gathered that all panelists would answer that question with a resounding “Yes!” This is why CKA, with the approval of Puzzle Theatre, precursored the company’s performance of Little Yarn Stories with an announcement to parents – let your children engage with the performance however they feel! Do not feel anxious should they “interrupt” the performers with questions or comments. This mindset can be brought to the classroom as well. While there is certainly a place for instituting formal education practices – of course kids will need to learn how to sit still – we as educators need to be more open to allowing children opportunities to learn in more genuine environments. A child’s naturally inquisitive way of viewing the world should be used to their learning advantage. This way of thinking can be difficult for parents and educators to accept because there is no exact formula for success – the results from inquiry-based learning practices are going to look different for every child. We need to step out of our comfort zones, because that’s where the child’s mindset already is. Learning should not always be black and white, but an array of colour. I look forward to taking this practice into my own classroom and creating rainbows!